A Field of Stone Hydras | Action Points! 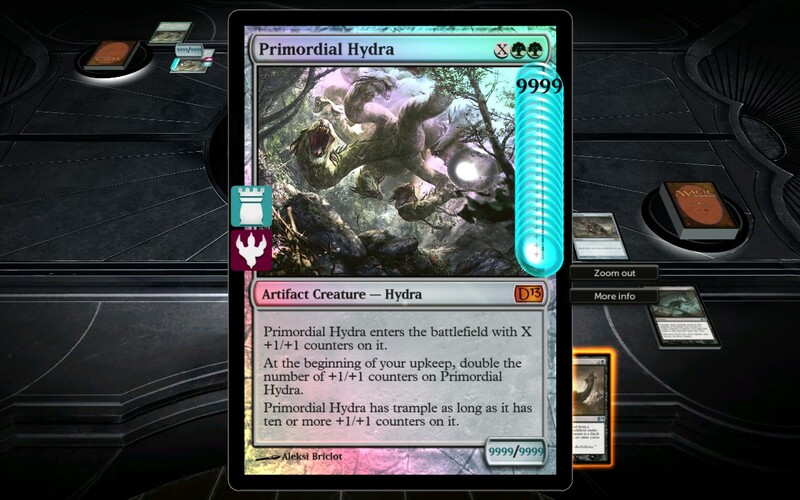 I was playing Liliana’s deck against the Hydra encounter, with just a lone Xathrid Gorgon petrifying a group of insanely massive Primordial Hydras. I couldn’t draw any win conditions for a while, so the hydras just kept growing and growing while my gorgon petrified any new hydra that made it onto the battlefield until I got a Vampire Nighthawk to fly over for the win. It’s a pretty amusing image, a lone hydra in a garden of stone hydras while the vampire flies overhead. Also, I guess the game caps out at 9999 for the power and toughness. 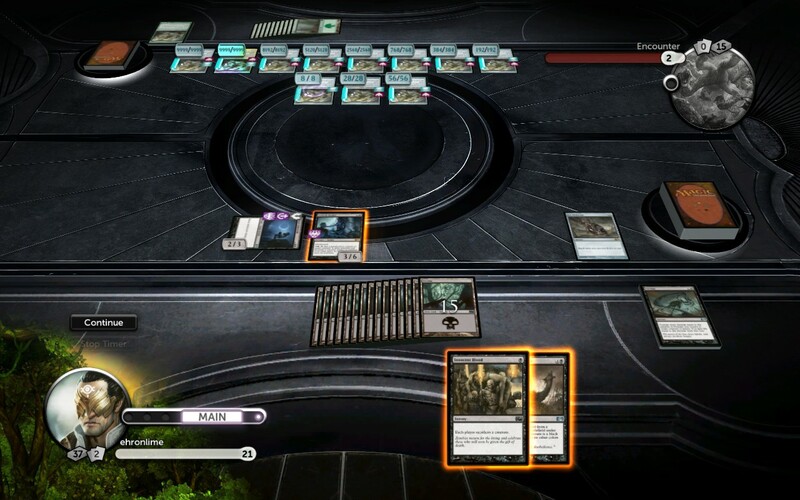 I’ve really been enjoying the last two installments of Duels of the Planeswalkers. Duels 2012 had one of my favourite decks, which was Kiora Atua’s Blue-Green Ramp deck. That deck allowed you to ramp up to large amounts of mana to drop some powerful haymakers. However, my favourite spell to cast in that deck was a kicked Rite of Replication. In fact, that’s just one of my favourite cards ever. I managed to get into a situation once where I had numerous copies of Captain of the Watch and a massive (in both numbers and creature size) army of soldiers by looping Kozilek, Butcher of Truth a few times. Duels 2012 had pretty good decks overall, if a little basic at times, but Kiora’s was my favourite. The previous version also let you play as an Archenemy which was also really, really fun as you could just outstrip the opponents with some powerful schemes. I feel like they’ve improved the deck choices in Duels 2013. Part of my increased enjoyment of the decks is also the larger number of unlocks in Duels 2013, including the promotional unlocks. * I’ve found more opportunities to get some crazy combos in Duels 2013, such as unbounded Chancellor of the Spires when the opponent has a Rite of Replication in the graveyard (hello again Rite! ), unbounded turns with a Time Warp imprinted on a Panoptic Mirror, and repeatable kicked Rite of Replication (what, you again?) with Archaeomancer. 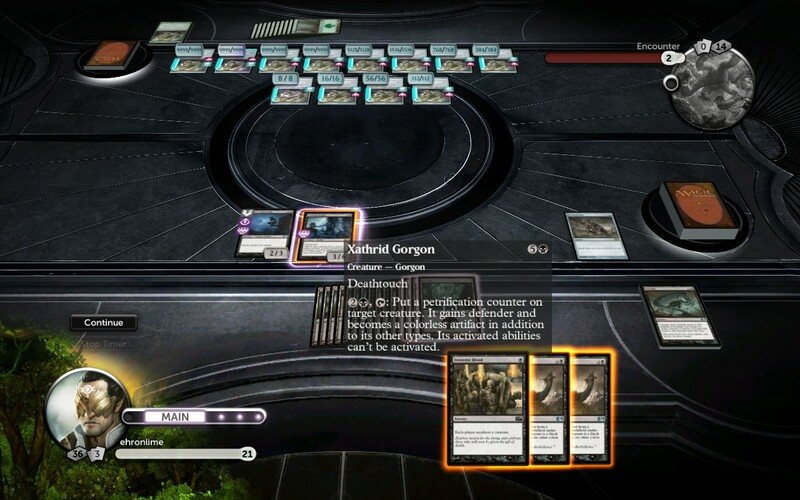 I also appreciated that the decks could usually be built more different ways, which is probably a factor of having to let the player build a multiplayer focused version of the deck for the new Planechase mode. I do miss Archenemy though. I think the key factor in making the decks more enjoyable for me is the inclusion of multiple build-around-me cards. For example, Jace’s deck can win with damage supplemented by some milling through Jace’s Phantasm but can also straight up just mill the opponent and capitalise on cute interactions between Jace’s Erasure and the multitude of card draw effects. You could use the lifegain in Ajani’s deck to race the opponent with creatures like Serra Ascendant and Ajani’s Pridemate or just straight up win with Felidar Sovereign. I loved Yeva’s deck which let you re-use all the enters the battlefield effects with Roaring Primadox but also had Wild Pair which let you put in some silver bullets in the deck as long as you were mindful of their power and toughness totals. 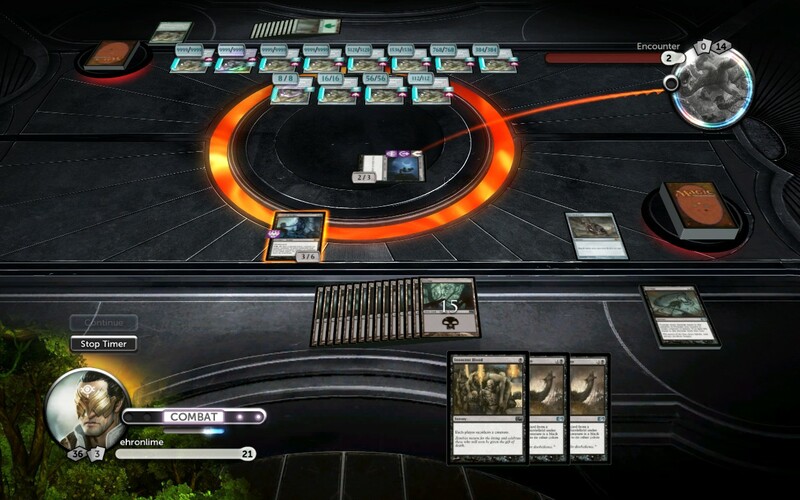 Duels of the Planeswalkers is an amazing gateway for lapsed Magic players, casual Magic enthusisast or people who are really interested in the game but don’t want to plonk money down on real cards or just can’t play with other people regularly. It’s not as great for new players since there is still a huge barrier of entry to learning and enjoying the game, and while the tutorial is a good attempt to help that along, it’s still not an easy task. * You can access the promotional unlocks in the Player Status screen. There’s an option to “View Promotional Unlocks” and you are provided with all the codes for the IRL promotions that they ran which you can enter in that screen as well.